If you need to install Bitdefender 2015 beta on Windows PC without an internet connection, you can download the offline installer from here. 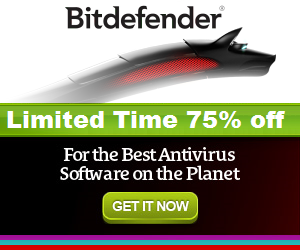 *The offline installer of Bitdefender 2015 beta is available only in English version. * You shouldn't use the Beta version as your main security protection. Antivirus Protection - Protect from viruses and malware with superior detections based on two proactive methods. Antispam - Prevent unwanted email from reaching your inbox. Antiphising - Use Anti-Phishing to prevent websites from stealing your credit card information, and preventing your personal information to be leaked in IM and emails or the web. Anti-Theft - Locks, wipes or even locates your laptop from any Internet-connected device you have at hand. Firewall - Deploy two-way firewall for incoming and outgoing internet traffic. Parental Control - Ban entry to unsuitable website contents and emails, and limit time of access to internet, games. Social Network Protection - Scans the links you receive from your Facebook and Twitter friends and monitors your privacy settings. Autopilot - Provides a hassle-free experience by making optimal security-related decisions without input from you. Safepay - Keeps hackers at bay by automatically opening all your online banking pages in a separate, secure browser. Photon Technology - With the integration of Bitdefender’s Photon technology into the package, the antivirus software adapts to your PC in a short amount of time. USB Immunizer - Immunizes any Flash Drive from viruses, when they are connected to your computer, so that you never worry again about USBs infecting you or your friends. Search Advisor - Blocking unsafe and fake websites, and gives advance warning of risky websites. Personal Data Filter - Secures personal data, such as your social security number. Backup - Provides 2 GB secure storage space to backup your critical files. In the case of system crashes, you can save your information for any future use. PC Tune-Up - Removes registry entries and unnecessary files, so applications start up and run faster (Optimized Performance).